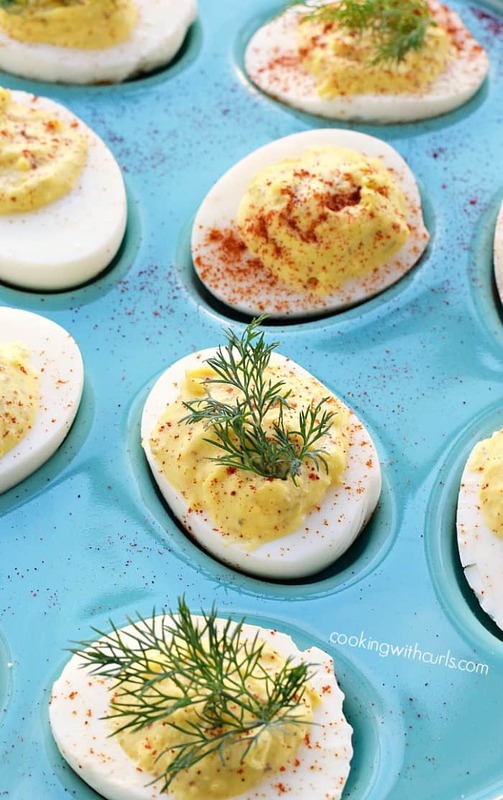 No holiday party, or any party for that matter, would be complete without Classic Deviled Eggs…am I right? We all love them and expect to see them somewhere on the buffet table. Now one thing that we all cannot agree on…pickle relish! 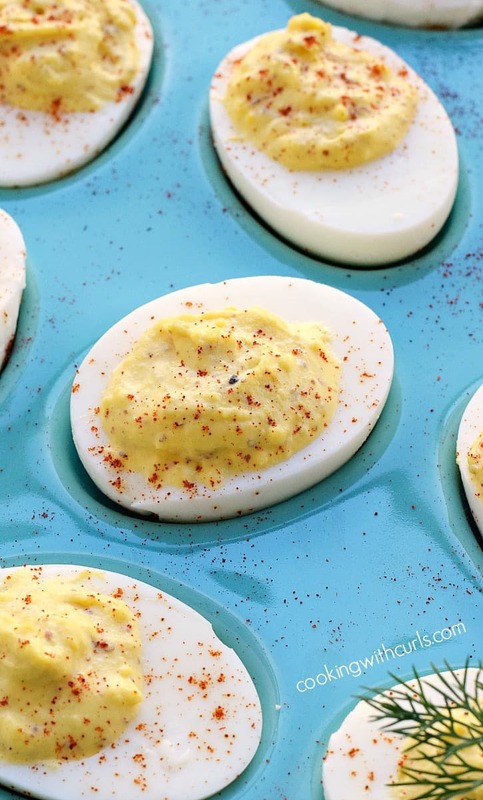 I personally do not like pickles of any kind, so pickle relish will not be found in my Classic Deviled Eggs…or my tuna sandwiches, but that’s a whole other post…..
Place eggs in a large saucepan, completely covered with water. Bring to a boil over HIGH heat, reduce to a simmer and cook for 10 minutes….. Remove from heat and run under cold water to cool. Place a trivet at the bottom of the inner Instant Pot pan. 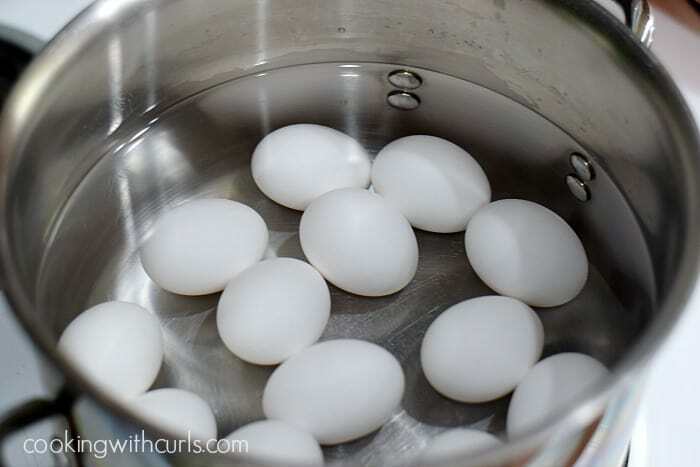 Place eggs on top of trivet, stacking evenly if necessary…..
Scoop eggs out of pot and place in an ice bath for 5 minutes…..
We are starting with hard-boiled eggs that have been cooled completely. 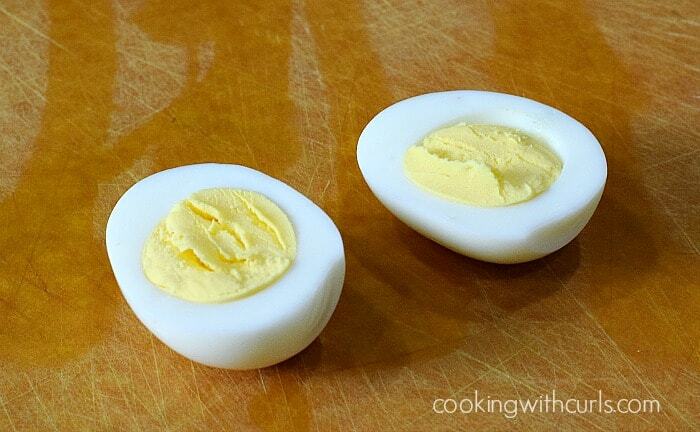 Slice each egg in half lengthwise….. 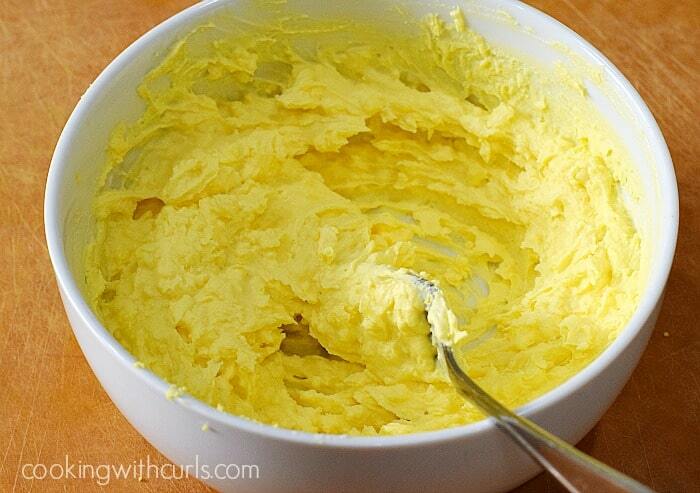 Remove egg yolks and place in a bowl. 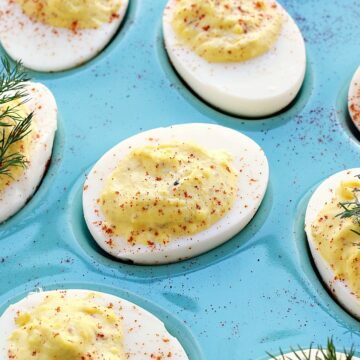 Set egg white “shells” on a plate and set aside. Mash egg yolks with a fork. Add mayonnaise and mix together, mashing with the fork until creamy….. Fill egg whites with mixture using a small spoon, or fill a plastic bag and use a decorative tip. I still have not come across my decorative tips, so a spoon it is! Sprinkle with paprika and serve….. I like my filling on the creamy side, so you might want to gradually add the mayonnaise to the bowl until you achieve the consistency that you are looking for. 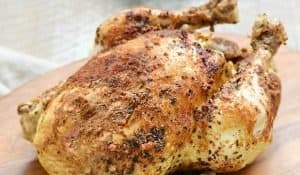 The country-style Dijon mustard that I use in my deviled eggs has a tangy flavor that is not overpowering and blends perfectly with the mayonnaise. I was working on a holiday party post, so I added dill “Christmas trees” to try and make them look a bit more festive…..
Go ahead, you can say it…they don’t look anything like Christmas trees, LOL Maybe next time. 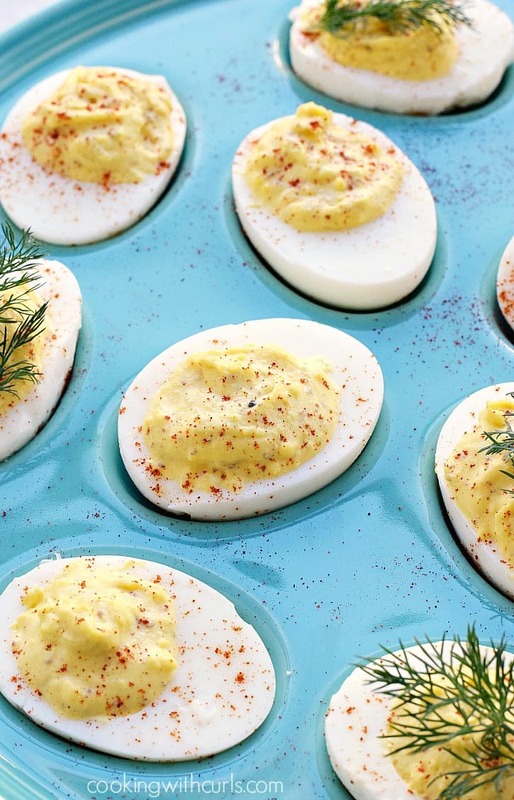 Classic Deviled Eggs are always a hit at parties and they are simple to prepare! Remove shells from eggs and slice in half lengthwise. 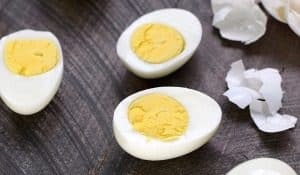 Remove egg yolks and place in a bowl. 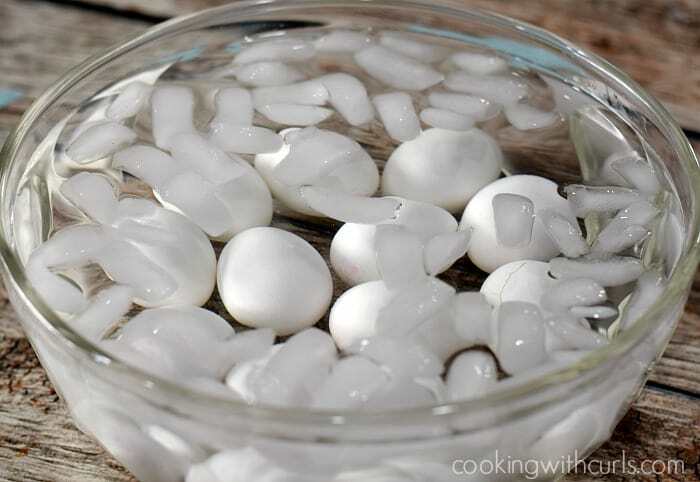 Set egg white shells on a plate and set aside. Add mayonnaise and mix together, mashing with the fork until creamy. Add mustard, salt & pepper, and pickle relish if using. Fill egg whites with mixture using a small spoon, or fill a plastic bag and use a decorative tip. 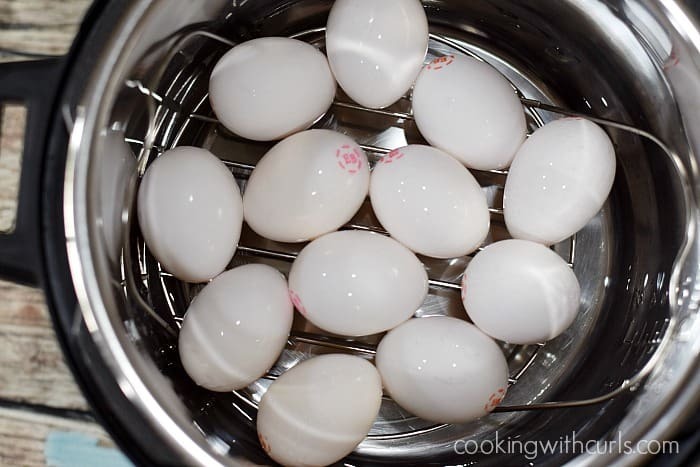 Place eggs in a large saucepan, completely covered with water. 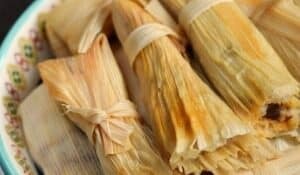 Bring to a boil over HIGH heat, reduce to a simmer and cook for 10 minutes.